Ted Talks is a collection of talks by some of the world's leading thinkers and doers on Technology, Entertainment and Design (hence the name TED). Many of the talks are inspiring and try to convey ideas on all sorts of subjects in those three categories. 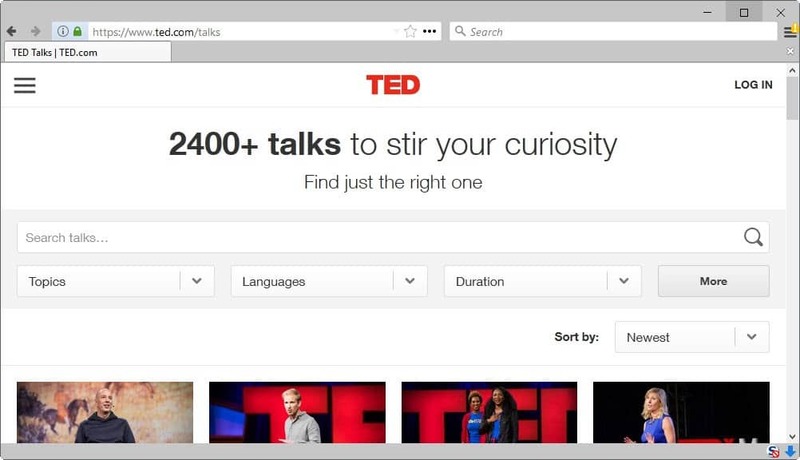 Many of the talks are available on the Ted website in various formats. They can even be downloaded to the local computer system. Someone made an effort to put all of the published Ted Talks in a list with direct onsite links to the videos, the name of the talker, the title, a description, the date, running time and event it was held. This is an incredible useful spreadsheet for anyone interested in at least one of the focus areas of TED. Since it is a spreadsheet, it can easily be sorted by speaker, event or name of presentation, or searched if you are interested into a particular topic such as medicine, technology or green energy. Below are three embedded Ted Talk videos. The first is by Evan Williams, a founder of Twitter who is talking about how Twitter's growth was driven by unexpected uses, the second showing Dan Ariely talking about why people are thinking that stealing and cheating is ok (sometimes) and the last by Tim Berners-Lee who is talking about the next web of open, linked data. The list of TED talks contains 500 entries so far and it seems to be updated regularly with new content. This one is definitely worth keeping an eye on. Update: It is 2014 now and the list has been updated constantly to reflect new talks. The spreadsheet lists more than 2000 talks now all of which are linked properly so that you can start watching a talk with just a single click on its url. Note that you can also watch the shows on the official TED website. It features a search as well and allows you to filter search results as well. The spreadsheet does have its uses though regardless of that. Ted Talks is a collection of talks by some of the world's leading thinkers and doers on Technology, Entertainment and Design (hence the name TED). I like ted a lot. A lot of great talks are published there. stealing and cheating are not ok?? Hi there, I noticed the list of ted talks you linked to hasn’t been updated since 10/09. Is there a more current version you know of?